Wai is Flips & Kicks Plus newest coach, from Norway. 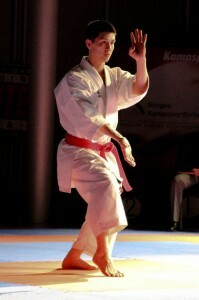 He is teaching Karate and martial arts together with Coach Fredrik at the international schools and at Kerry Sports. Wai has been training Karate and martial arts from childhood and done extremely well competing on a international level. His calm personality and profound knowledge of martial arts makes him an excellent addition to the Flips & Kicks Plus team.